Is the HAARP Project a Weather Control Weapon? 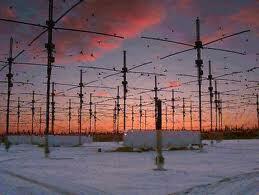 "It isn't just conspiracy theorists who are concerned about HAARP. The European Union called the project a global concern and passed a resolution calling for more information on its health and environmental risks. Despite those concerns, officials at HAARP insist the project is nothing more sinister than a radio science research facility." HAARP (High Frequency Active Auroral Research Program) was a little-known, yet critically important U.S. military defense project which generated quite a bit of controversy over its alleged weather control capabilities and much more. The project was shuttered by the military in 2013 after attracting large amounts of negative publicity, though HAARP-like research undoubtedly continues in other secret projects. This essay reveals major deception promulgated by those involved to lead the public to believe HAARP was simply a research facility with little practical military value. Though denied by HAARP project officials, some respected researchers allege that the electromagnetic warfare capabilities of the project were designed to forward the US military's stated goal of achieving "Full-spectrum Dominance" by the year 2020 and of "Owning the Weather in 2025" (see USAF document summary here). Others go so far as to claim that HAARP technologies have been and continue to be used for weather control, to cause earthquakes, hurricanes, tsunamis, to disrupt global communications systems, and more. These researchers point to major aspects of the program which are still kept secret for alleged reasons of "national security." The U.S. patent of a key developer of HAARP and other documentary evidence support these claims. And there is no doubt that electromagnetic weapons capable of being used in warfare do exist. The HAARP project's $300 million price tag also suggests more was going on than meets the eye. According to the original HAARP website, "HAARP is a scientific endeavor aimed at studying the properties and behavior of the ionosphere, with particular emphasis on being able to understand and use it to enhance communications and surveillance systems for both civilian and defense purposes." The ionosphere is the delicate upper layer of our atmosphere which ranges from about 30 miles (50 km) to 600 miles (1,000 km) above the Earth's surface. The HAARP project website acknowledged that experiments were conducted which used electromagnetic frequencies to fire pulsed, directed energy beams in order to "temporarily excite a limited area of the ionosphere." Some scientists state that purposefully disturbing this sensitive layer could have major and even disastrous consequences. Concerned HAARP researchers like Dr. Michel Chossudovsky of the University of Ottawa and Alaska's Dr. Nick Begich (son of a US Congressman) present evidence suggesting that these disturbances can even be used to trigger earthquakes, affect hurricanes, and for weather control. Dr. Bernard Eastlund is the scientist whose name is most associated with the creation and development of the HAARP project. His revealing website provides reliable information on his involvement with the project. A 1987 patent issued to Dr. Eastlund is titled "Method and apparatus for altering a region in the earth's atmosphere, ionosphere, and/or magnetosphere." It is possible ... to take advantage of one or more such beams to carry out a communications network even though the rest of the world's communications are disrupted. [It] can be used to an advantage for positive communication and eavesdropping purposes. This invention has a phenomenal variety of ... potential future developments. Large regions of the atmosphere could be lifted to an unexpectedly high altitude so that missiles encounter unexpected and unplanned drag forces with resultant destruction or deflection. Weather modification is possible by, for example, altering upper atmosphere wind patterns or altering solar absorption patterns by constructing one or more plumes of atmospheric particles which will act as a lens or focusing device. Ozone, nitrogen, etc. concentrations in the atmosphere could be artificially increased. Electromagnetic pulse defenses are also possible. The earth's magnetic field could be decreased or disrupted at appropriate altitudes to modify or eliminate the magnetic field. For those with any background in science, you might find it quite revealing to explore this patent in more detail. And remember that since the time of this patent, in which Alaska is mentioned several times as the ideal location, the government fully acknowledges that it built a massive array of antennas in Alaska with the capability of disturbing the ionosphere exactly as described in Eastlund's patent. "It isn't just conspiracy theorists who are concerned about HAARP. In January of 1999, the European Union called the project a global concern and passed a resolution calling for more information on its health and environmental risks. Despite those concerns, officials at HAARP insist the project is nothing more sinister than a radio science research facility." The European Union (EU) document which brings HAARP and similar electromagnetic weapons into question can be verified here. The actual wording at bullet point 24 in this telling document states that the EU "considers HAARP by virtue of its far-reaching impact on the environment to be a global concern and calls for its legal, ecological and ethical implications to be examined by an international independent body before any further research and testing." This revealing document further states that the EU regrets the repeated refusal of the U.S. government to give evidence on the project. "Electromagnetic weapons ... pack an invisible wallop hundreds of times more powerful than the electrical current in a lightning bolt. One can blast enemy missiles out of the sky, another could be used to blind soldiers on the battlefield, still another to control an unruly crowd by burning the surface of their skin. If detonated over a large city, an electromagnetic weapon could destroy all electronics in seconds. They all use directed energy to create a powerful electromagnetic pulse." "Directed energy is such a powerful technology it could be used to heat the ionosphere to turn weather into a weapon of war. Imagine using a flood to destroy a city or tornadoes to decimate an approaching army in the desert. If an electromagnetic pulse went off over a city, basically all the electronic things in your home would wink and go out, and they would be permanently destroyed. The military has spent a huge amount of time on weather modification as a concept for battle environments." "Top-secret wartime experiments [WWII] were conducted off the coast of Auckland to perfect a tidal wave bomb, declassified files reveal. United States defence chiefs said that if the project had been completed before the end of the war, it could have played a role as effective as that of the atom bomb. Details of the tsunami bomb, known as Project Seal, are contained in 53-year-old documents released by the Ministry of Foreign Affairs and Trade." If the military secretly developed a weapon which could cause a tsunami well over half a century ago, what kind of advanced deadly weapons might be available now? And why is it that the general public still doesn't know about secret weapons developed over 70 years ago? Clearly the military has the capability to cause a tsunami and likely to cause earthquakes and hurricanes, as well. To understand why the media isn't covering these highly critical issues, see this revealing essay. It's time to take action to spread the word on this vital topic. And for another excellent documentary on HAARP, which includes an extensive interview with Dr. Bernard Eastlund, watch "Holes in Heaven." The massive Manhattan Project (development of the first atomic bomb) is one such example. The building of an entire city to support the project in Oak Ridge, Tennessee was successfully kept secret even from the state's governor. The stealth bomber was kept top secret for many years, and the public still has no way of knowing it's full capabilities. It is through the use of the highly organized military and intelligence services that the power elite of our world, in cooperation with key allies in government and corporate ownership of the media, are able to carry out major cover-ups and secret operations like those involved with HAARP. Some researchers have raised questions about the possible involvement of HAARP in major disasters like the earthquakes in Haiti and Japan, the Indonesian tsunami, and hurricane Katrina. Could these have been HAARP experiments gone awry? Might they even have been caused by rogue elements which gained control of this devastating technology? Disasters like this happen naturally on a regular basis, yet if you begin to research, there is some high strangeness around some of these disasters. The evidence is inconclusive, yet with the known and unknown major destructive capabilities of this weapon, serious questions remain. "With the use of powerful computers, segments of human emotions which include anger, anxiety, sadness, fear, embarrassment, jealousy, resentment, shame, and terror, have been identified and isolated within the EEG signals as 'emotion signature clusters.' Their relevant frequencies and amplitudes have been measured. Then the very frequency/amplitude cluster is synthesized and stored on another computer. Each one of these negative emotions is properly and separately tagged. They are then placed on the Silent Sound carrier frequencies and could silently trigger the occurrence of the same basic emotion in another human being." An excellent 10-page summary of the book is available here. For the section focused on nonlethal weapons, which includes the above quote, see this page. Using HAARP's powerful broadcast capabilities, it is within the realm of possibility that powerful antennas like that of HAARP and major facilities elsewhere could triangulate on an exact location anywhere in the world and send highly intensified frequencies matching the emotion signature of a desired emotion to produce anger or any other desired emotion in a group of people, as the human mind naturally entrains to strong frequencies around it. "A silent communications system in which nonaural carriers, in the very low or very high audio frequency range or in the adjacent ultrasonic frequency spectrum, are amplitude or frequency modulated with the desired intelligence and propagated acoustically or vibrationally, for inducement into the brain, typically through the use of loudspeakers, earphones or piezoelectric transducers. The modulated carriers may be transmitted directly in real time or may be conveniently recorded and stored on mechanical, magnetic or optical media for delayed or repeated transmission to the listener." to provide a technique for producing a subliminal presentation which is inaudible to the listener(s), yet is perceived and demodulated (decoded) by the ear for use by the subconscious mind. to provide a technique for transmitting inaudible subliminal information to the listener(s) at a constant, high level of signal strength and on a clear band of frequencies. to provide a technique for producing inaudible subliminal presentations to which music or other "foreground" programming may be added, if desired. In other words, the subliminal messages could be inserted into TV and radio waves without the awareness of the listener or viewer. Such messages could easily be beamed from satellites, as well, triangulated on a desired location. Using the incredible broadcasting capabilities of HAARP, these subliminal message could conceivably even be broadcast over a larger area to create the desired effect on an entire population. Sounds scary doesn't it? So why is this not being discussed more widely? Clearly, technologies have been developed and refined with the specific purpose of passing subliminal messages unbeknownst to the target. The capability of remotely influencing emotions through the use of certain wave lengths has been successfully demonstrated. The implications are huge. Yet there is exceedingly little regulation of how this technology will be used. By educating yourself on this important matter and spreading the word to your friends and colleagues, you can make a difference in building the necessary momentum to bring these matters to light and to ensure they are not used in disempowering ways. Jesse Ventura, the former Navy Seal who turned pro wrestler only to then become governor of Minnesota, has a TV special on HAARP that is a bit sensationalized, yet contains useful information. You can watch this revealing program online at this link. For many other ideas and suggestions on how you can further educate yourself and what you can do to help inform others about this secret program and make a difference in our world, see the box below. And to bring this matter home, let us also look at where each of us are keeping secrets in ways that can end up harming those around us. Thanks for caring. HAARP Closure: HAARP was officially shuttered by the military in 2013. The closure provided the excuse to stop the live broadcasting of HAARP's signals on a public website, which gave strong evidence of links between HAARP activities and major weather catastrophes (see this webpage for more). Operation of the facility was transferred to the University of Alaska in 2015. Undoubtedly HAARP-like weather control and military research continues elsewhere. With all the intense secrecy around the project for reasons of "national security," it's hard to know what is really happening, but clearly the public is largely being kept in the dark. Read other powerful, reliable major media articles on nonlethal beam weapons. Inform your media and political representatives of this critical information on HAARP and weather control. To contact those close to you, visit this page. Urge them bring this information to light and allow public dialog on HAARP, weather control and electromagnetic weapons. To read excellent, well researched articles by top researchers in the field of HAARP, electromagnetic warfare and secret weapons, click here, here, and here. Learn about the intriguing history and development of controversial behavior modification programs in this excellent two-page summary. 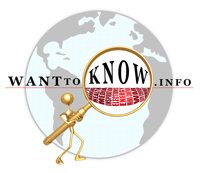 Footnotes and links to reliable sources are provided for verification purposes. Explore inspiring ideas on how we can build a brighter future in this short essay. Spread this news on HAARP, weather control, and more to your friends and colleagues. Share this article on key news websites using the "Share" icon on this page, so that we can fill the role at which the major media is sadly failing. Together, we can make a difference.